The Left’s and Hillary Clinton’s certainty that Trump would never win the Republican Primary, let alone the Presidency?! Both, shocking surprises from the Left and the Right has become Third Millennium America’s identity! The United States is now in the middle of a symbolic, Second American Civil War. 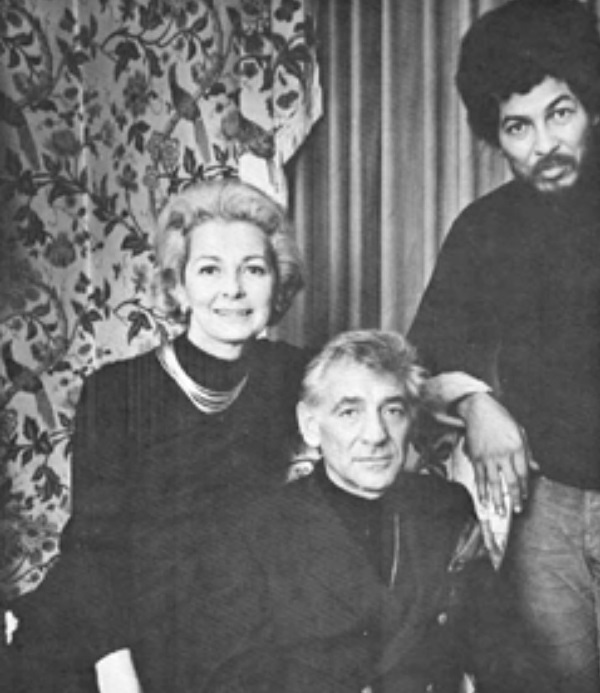 A fashionably Leftist, Leonard Bernstein, was quite fond of Black Muslims. In the end, President Barack Hussein Obama has proven himself to be half Don Cox, Field Marshal of the Black Panther Party and half Leonard Bernstein. One can never dismiss the charming power and eloquence of Barack Hussein Obama. His most impressive style won him the Presidency. Twice! Donald Trump’s infuriatingly provocative and angry style also won him the Oval Office, out of which he pronounces daily on Twitter. Without being the racist that the Left has tried to paint him as, President Trump has been selling American Nationalism with the same disturbing abandon that President George H. W. Bush sold his New World Order. His love affair with a One World Order to be run by the United Nations! The “American Treason” which the Left and The Bush RINO’s have tried to paint on Donald Trump?! It actually belongs on the increasingly slithery and Marxist hides of the Democrat Party. Not to mention the indisputably RINO coverings to the Bush Family’s dislike of Donald Trump. It sounds complicated but it’s not. The “Dems” wish to keep it sounding complicated because that complexity not only makes them sound more intelligent, they can lie with greater ease than the Republicans can. It’s all an increasingly ugly and dangerous mess. Pretending that thoughts of “A New World Order” are not American treason. Why doesn’t President Trump call the Democrat Party on its treasonous betrayal of The Declaration of Independence, the Constitution and its Bill of Rights?! As treasonous as the Democrat Party’s earlier, racial supremacy in the purely Democrat, Confederate South?! Why doesn’t he indict the whole idea of a Progressive New World Order as treason?! His refusal to do what to me is the obvious?! For someone who is renowned for not withholding his contempt, his silence about The New World Order Betrayal of America is deafening.